Keep your pants up and help someone in need. Give a man a fish and you feed him for the day. Teach a man to fish and you feed him for a lifetime. A lot of people know how to fish, they just can't afford the nets. I just love the mission statement above! 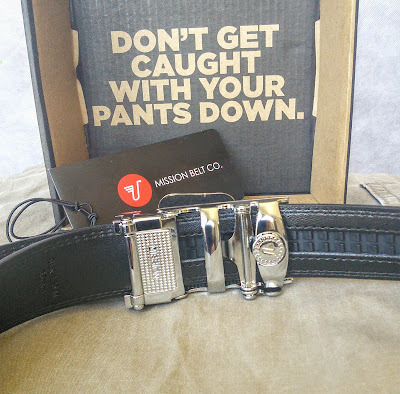 Misson Belt is all about helping people succeed in life. 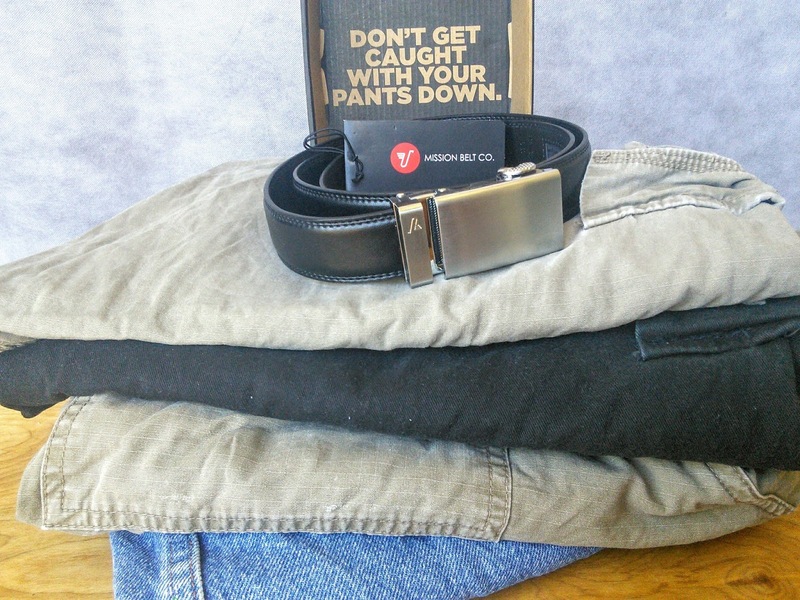 Through their sales of their awesome belt, they are helping people out of poverty. I just love that a simple product that helps people hold their pants up can offer a hand up, not a handout, to someone in need. 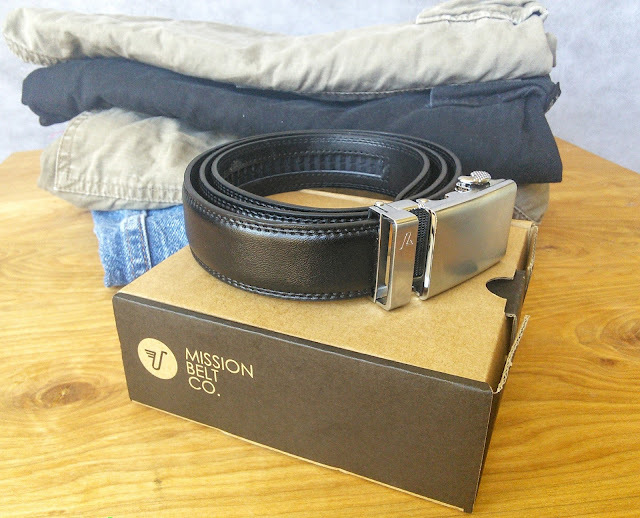 Misson Belt donates a dollar from every belt to help fight hunger and poverty worldwide through micro-lending. That is very awesome to me! Sponsored post: I received a Mission Belt to facilitate this post. Not only is Mission Belts company unique but their belts are too! 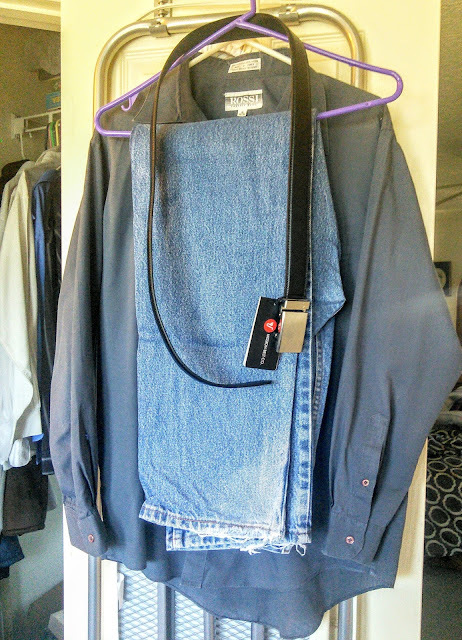 These awesome looking belts have no holes in them, instead, they have a micro-adjustable system that works so much better to hold your pants up. Did you know that belts with holes are adjustable every one inch? Mission Belts are micro-adjustable every quarter inch. Also, those holes on other belts tend to stretch, wear, and crack. That means you have to replace other belts while Mission Belts last longer. I received a Mission Belt two and a half years ago and gave it to my husband. See my review of that belt here. He has worn the belt every day and the belt has not torn or cracked. That is truly amazing that a belt can last that long. My regular belts with holes only seem to last me a couple of months. My husband was excited to receive new Mission Belt and like a kid in a candy store, he had fun choosing his new belt. When the belt arrived, the teen was super jealous and he would have swiped dad's new belt if it would have fit him. Dad was glad that his Mission belt did not fit the skinny teenager. So why do my teen and husband love this belt so much? They love that this belt has notches for the buckle to clip into rather than holes.That means they have more adjusting room for a perfect fit. My husband also likes the quick release button on the belt. My husband also loves that this leather belt has a cool looking buckle, he was disappointed that the CHICAGO BLACKHAWKS buckle was sold out. I will be keeping my eye on the website to see when it comes back in stock as that will make a great gift for him. Mission has belt buckles in other sports teams too. I might just be the good mom and get the teen his own Mission Belt. So check out the best pants-holder-uppers in the world and find out how you can give a hand up to those in need. You must visit the website to see all the cool belts and buckles. Guys will love the NBA, NHL, and NCAA buckles in addition to the solid color buckles. Fathers day is coming soon and these belts will make great gifts! What a great belt! I love that it gives better adjustment options for a better fit, but that each purchase is helping someone in need! This is awesome! I love companies that give back! I may have to get one of these for my husband! I love companies that believe in giving back! I can't believe Mission Belts do not have holes them. WOW!! This is such a GREAT idea because belts which have holes in them always mess up. They either end up tearing or it ruins the material. It looks and sounds like Mission Belt is a great product! Handyman In Miami Florida Thanks again for the article post.Thanks Again. Really Great.